Emissions Trading System (ETS), an adaptation of the Kyoto Treaty in 2005, is commonly known as ‘Carbon Trading’. It is the trade of emissions under the cap-and-trade scheme devised to reduce greenhouse gas emissions (GHG). It aims at holding industries accountable for their contributions towards climate change without affecting their business operations. How? Well, a GHG “cap” or limit is assigned to companies as an emission allowance. Where a company falls below the limit, their excess allowances can be traded as credits with expanding companies or companies exceeding the limit, providing them with an opportunity to avoid being subjected to fines. However, is the industry really using carbon trading to achieve progress against climate change, or is the industry taking advantage of this policy to generate more revenue at the environment’s expense? Are we progressing or pretending? Ignorance is bliss but if bliss means living in a world devoid of any resources, unbearable hot summers, freezing winters and wearing gas masks to breathe – please count me out! If we can’t live in such conditions, then why subject the future generations to these. Carbon trading is at the heart of sustainability. Sustainable development focuses on employing all resources to enhance both current and future potential to meet human needs. Thus, the depicted scenario can be approached with the ‘universality principle’ of Kant’s theory1 to justify that the ETS is indeed an ethical approach that can bridge the gap between reserving the environment for the future and not impeding engineering and scientific advancements nor economic growth. It is important to consider that sustainable technological inventions require huge investments for their research and implementation strategies, and that isn’t always attainable. Nonetheless, carbon trading offers a cost effective solution for industries globally and provides a smooth transition away from the current system towards an ideal world of zero-emissions. From the Kantian approach this is justified to be ‘morally right’ and should not be seen as a ‘mere’ means for economic gain, but as a good means to a bright end! Since the deployment of ETS, there has been a compliance rate of 99% as well as 2.9% reduction in GHG emissions compared to 2015. Also, collectively looking at the 28 EU member countries, the ETS has contributed to a 1.9% growth rate in GDP which depicts that the scheme is working. We really shouldn’t fool ourselves, everyone is a beneficiary in this system. Essentially, profiting off GHG producers who do not utilise alternative energy sources and/or technological solutions to lower their emissions should not be viewed as entirely neoliberal and corrupt. Various implemented governing regulations such as the Market Abuse Regulation (MAR) and Financial Marketing Directive (MiFID2) with the Anti-money Laundering Directive have been adapted to cover the carbon market since 2014. These regulations ensure a transparent and liquid carbon market and regulate the trade, fines, and overall cash flow of the market. Consequently, the innovation funds made from the carbon credit sales are used to encourage smaller co-operations, in the form of grants, to keep investing in more sustainable technology. These grants could be applied to projects ranging from process efficiencies to generations of ‘carbon sinks’. Furthermore, some of the so-called ‘victim’ companies, e.g. large corporate organisations, which are coerced to buy extra allowances to comply can also be beneficiaries. This is considering that in the long-run they are able to save over-head cost from inefficient processes. With the majority potentially gaining from ETS, it is ethically justifiable by the ‘pluralistic consequentialism’ theory in conjunction with the utilitarian approach to prioritize the consequence of preserving the earth over the mere economic gain of industries, for the greater good. It’s our mess to clean up! “Freak storms, melting glaciers, extremely hot summers, misplaced polar bears – the mascots of climate change”. The conversation of climate change has become more rampant in various sectors and is now a hot topic by institutions, because it is spoken in a more widely accepted language than English – Money. Monetary value is now seen as the best way to achieve environmental protection which has in turn led to the formation of alliances between large corporate organisations and environmental NGO’s. As these alliances are dominated by economics and business, environmentalists are then made to stop fighting these powers and cooperate with them. Thus, schemes are then set up in order to make both environmentalist and large corporations complacent. As these schemes are set up by conventional economists from large organisations, they are believed to be the ‘Holy Grail’ and thus must be followed, but this is far from the truth. These schemes allow massive capital to be handed over to polluters with the greatest pull in a given sector, which then leads to an increase in the scale of their operations. These stakeholders are acting upon the ethical theory of ‘egoism‘, which justifies the need to operate according to what benefits the sole individual, in the hope that it will suffice for all. However, this is a truly selfish approach, as it does not agree with the utilitarian point of view which implores that we should maximize good for all or majority, not just the ‘big players’. Additionally, carbon trading hosts a great interdependence between science and business, which generates clashing conflicts between the ethical values of both fields. Consequently, this directs the discussion to ethical relativism where pragmatism is a chosen ruling ethical value in the business world that supports their operations. These business corporations adopt carbon trading to mainly maintain their profit profiles, whilst pretending that they are responding to the global external pressure regarding climate change solutions. A for Effort, F for Execution! If I have a bruise on my arm and I put an ice pack on my leg, does that solve my problem? No. So why do the same with GHG emissions? As of 2016, transport and fuel combustion systems cumulatively contribute about 78% of the EU’s total GHG emissions. Thus, the paramount way of solving the imminent issue of GHG emissions is to significantly deviate from a fossil fuel dependent economy. In order to achieve this, there has to be a fundamental change in our transport and energy systems. With the current way the ETS is set up, having a ‘cap’ for emissions is now seen as a ‘ceiling’ rather than a ‘floor’. Most corporations do not strive to achieve more and take initiatives towards addressing the root causes of their undue emissions; since they are either content with simply adhering to the cap or buying credits. The likes of Michael Sandel argue that pollution should not be a right that could be bought as it “may undermine the sense of shared responsibility that increased global cooperation requires”. Their beliefs are supported by the theory of deontology1, where an action is deemed ethical depending on whether it is right or wrong rather than its consequence. Despite the ETS having an apparent contribution in the net reduction of GHG emissions, it is viewed by many as a way of avoiding investments in tangible solutions to reduce GHG emissions through buying credits. We should not be able to buy the right to pollute! The theory of postmodernism regards the “idea of objectivity as a dubious invention of the modern era”, with that said we personally believe that carbon trading may be used by some as a means of pretence, but it is a progressive system that is continuously adapting to work for all. I was slightly confused when you said “With the current way the ETS is set up, having a ‘cap’ for emissions is now seen as a ‘ceiling’ rather than a ‘floor’”. As I understand it a ceiling is what we’d want, why would we tell countries “here’s a minimum amount of CO2 you must produce” which is what a floor would act as. You may be getting slightly mixed up with the UKs carbon price floor for the ETS, this is not a floor on emissions but the pricing of those emissions, we’re saying that this is the minimum price you should pay per ton/CO2. I agree that it is ethical to care for the needs of future generations, and would go even further to say that, unless carbon emissions are reduced, severe effects will be felt by our generation, let alone future ones. I believe the reason we are in the mess we are in this area is because of the current economy where companies are not made responsible for the long term effects of their decisions. Therefore I’d welcome any changes to the economy that would address this, and it seems as if the suggested change would. Regarding Michael Sandel’s ideas, this ‘shared responsibility’ resulting from goodwill hasn’t existed concerning this issue and similar ones in the past, so I highly doubt it will be developed within the time frame needed to address the issue of high carbon emissions. An interesting introduction to the carbon credits scheme. It was a little difficult to identify your ethical reasoning as the workings, advantages and disadvantages of ETS took centre stage. Can you get them to swap places for assignment two please. This is a well-researched article and an interesting question to focus on. However, I find your ethical reasoning hard to understand in places; there was far more focus on facts and background information than ethical argumentation. Also, your initial decision was indecisive and seemed to say yes and no. In my comment I do not debate the evidence you present, I have just tried to say how I would have developed some of your ethical arguments. Your point using Kantian theory “to justify that the ETS is indeed an ethical approach that can bridge the gap between reserving the environment for the future and not impeding engineering and scientific advancements nor economic growth” seemed to say that ETS is justified because it is a compromise between parties which in my opinion leans towards utilitarian analysis. I would have attempted to make a clearer Kantian evaluation by evaluating an action against a moral norm. I would re-interpret your first Kantian argument to be evaluating the ETS against “longevity should never be prevented” as a moral norm. Therefore, you could apply the universality principle because the idea behind the ETS is that all parties (environment, technology and economy) are preserved long-term through the ETS; ETS follows the moral norm. Your second Kantian argument that “From the Kantian approach this is justified to be ‘morally right’ and should not be seen as a ‘mere’ means for economic gain, but as a good means to a bright end!” is again a little ambiguous in my opinion. Kantian theory looks at actions alone, deeming them acceptable or otherwise based on moral norms/codes/principles, irrespective of the ends. Here, you do not mention a moral principle to justify your ‘morally right’ remark and you mention ends. I think this argument really needs adjusting to be classed as a Kantian argument. If you want to discuss ends here, possibly the point needs to be developed in a utilitarian framework. I like your “CO2 + $$$ = Warmer Planet” section. Good use of egoism, I think this is the guiding principle of many businesses and agree with you here that really they are primarily acting to secure the largest economic gain for themselves. It was a shame that you did not elaborate more on this bit: “carbon trading hosts a great interdependence between science and business, which generates clashing conflicts between the ethical values of both fields”. It would have been interesting to have been provided with examples of values clashing to fully understand what you mean. In summary, you clearly researched this topic well. My overall understanding of your article is: the ETS is good in principle by Utilitarian and Kantian analysis, but it is being manipulated unjustly due to some Egoism. This is then not helped by stakeholders being pragmatic so therefore the overall outcome is ineffective (or less than it should be). Please can you confirm if I am right in thinking this? Perhaps you could use Care Ethics to explain what’s wrong with the Egoism or use Virtue ethics to explore the character of those who are manipulating the system. Good write-up. 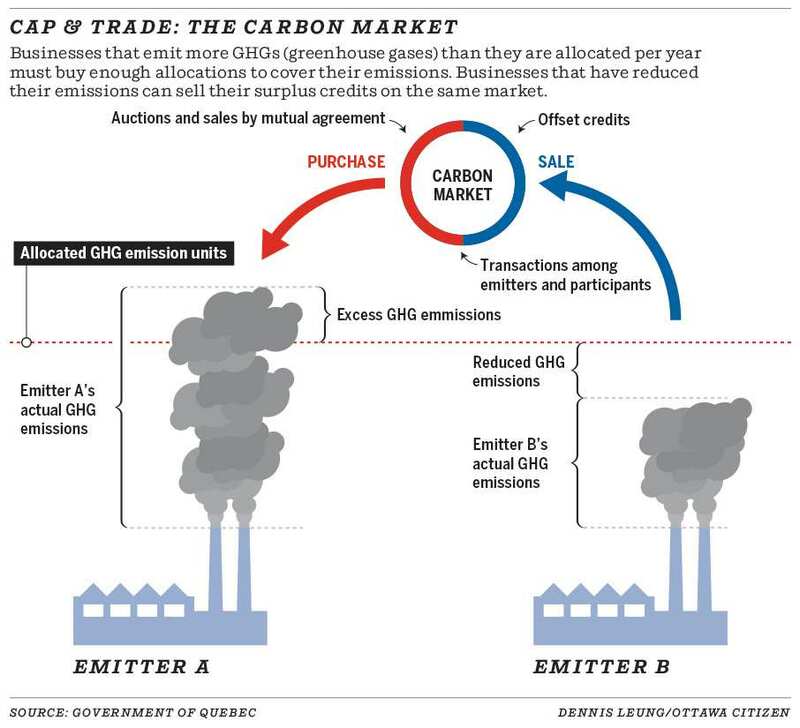 I particularly love the chart – it succinctly summarizes the concept of the ETS, which allows easy comprehension of the concept of carbon market by laypersons. It is apparent from this presentation that the ETS is quite laudable and hold the promise of achieving its objective, but with a caveat, if it is properly implemented. Who is responsible for the implementation and monitoring of the treaty? Is the monitoring done manually or digitally? Is the data source largely self-report? The manual approach is likely to be more susceptible to manipulations. Are the results of evaluation publicly and regularly published? Are there incorruptible and effective international and national law enforcement agencies dedicated to this cause? If answers to these pertinent questions are ‘NO’, then the ETS is apt to be another futile effort at curbing carbon emissions, among other efforts at solving global challenges. It appears the greatest challenge in the world today is corruption which is not unconnected with despise of the truth vis-a-vis crave for money. This foundation problem must be addressed in our quest to solve our numerous global challenges, and carbon emission is clearly a pertinent one in the list.